Every time I have to fly anywhere I always head to the bookstore and grab a couple of books, will I finish any of these by the time I am home, unlikely, but at our last con I managed to break that habit when I burned through The Farm by Emily McKay. This book was probably aimed for young adult readers but still I found myself finishing it in 3 days, bearing in mind I was busy at a convention, had I been at home it would have been quicker. 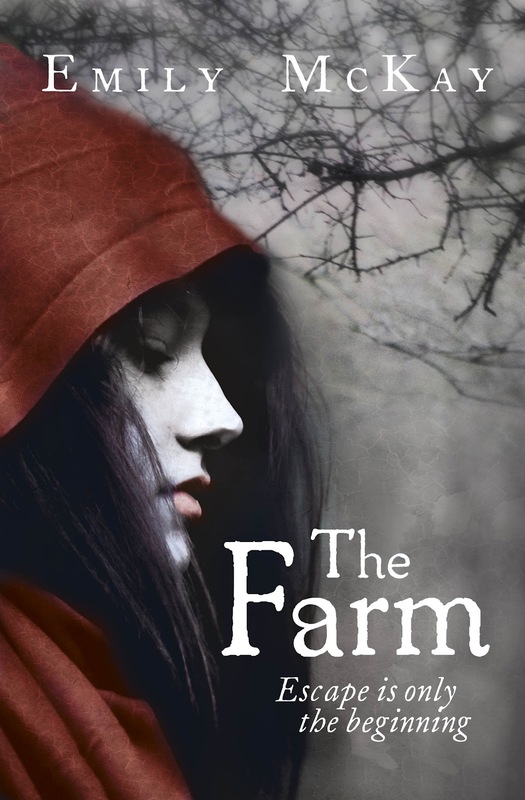 For Lily and her twin sister Mel there is only the Farm . . .
It’s a prison, a blood bank, a death camp – where fear and paranoia rule. But it’s also home, of sorts. Because beyond the electric fence awaits a fate much, much worse. She and Mel are going to escape – into the ravaged land outside, a place of freedom and chaos and horrors. Except Lily hasn’t reckoned on two things: first, her sister’s ability to control the horrors; and, secondly, on those out there who desperately want to find and control Mel. Mel’s growing power might save the world, or utterly end it. But only Lily can protect Mel from what is to come . . . This and a fantastic piece of cover art had me hooked. Now what should have been painfully obvious to me is that this as vampire book, I was a little annoyed when I realized that, I am not a huge fan of the genre but this looks at it in a different light, enough that its unique but also familiar,so anyone can pick it up and read it. The story chronicles Lily and Mel’s escape from the farm into the ruined country of the United States, it has 3 P.O.V characters, Lily who dominates the story, Carter her love interest and Mel, Lily’s autistic sister. Mel’s chapters are only a page long at a time but are a real treat to read. I really don’t want to say anymore for fear of spoilers, so take my advice and give in. I will say this there is a lot of hate for this book and from what I can tell people just hate on it because it’s a vampire book well I think it’s a great book and a fantastic story, so much so that I have pre-ordered the next instalment and eagerly wait to give it a read though. I’m not a big fan on multiple P.O.V. For that to work properly you have to be have talent. Still, this sounds as something I could give a shot, a bit different. Is the first installment finished or am I to expect an open ending? Because multiple P.O.V. and open ending is a combo which doesn’t work for me. Its some what open ended. Best way to explain, it resolves a lot but leaves you wanting more. About the Multiple P.O.V’s its mostly from Lilys perspective. the other P.O.V’s are minor, I think so you can see what happens when Lily isn’t around, but to give the short answer the end could be viewed as either an ending or a prelude to more story. I am sorry I really cant answer more accurately but when I got to the last page I felt like it could have ended but am glad there will be another book.